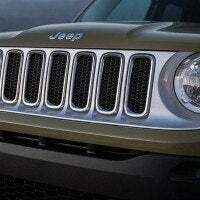 The 2015 Jeep Renegade is the first offspring after the merger of Chrysler with Fiat Automobiles. Every time I think of a Jeep, I imagine a Wrangler or a Cherokee with huge mud or all-terrain tires, with jacked up suspension, climbing and traversing through some of the most inhospitable places on the earth. 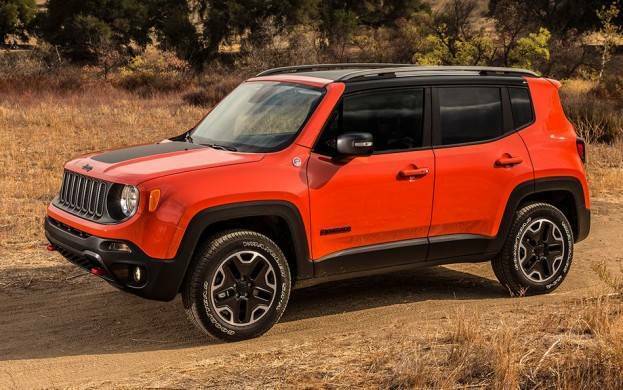 But, for traditional Jeep enthusiasts, the new 2015 Jeep Renegade might look like something which is more at home in the suburbs instead of the Sahara Desert. 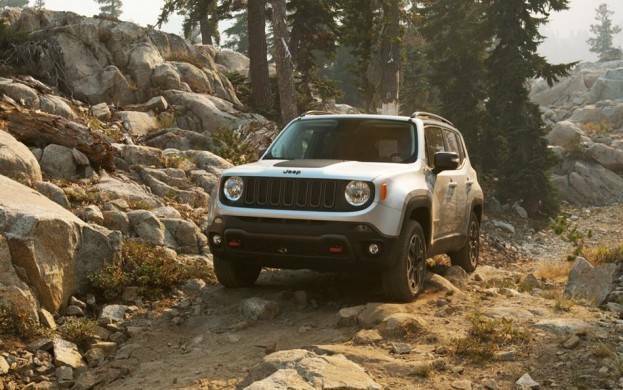 However, don’t be too quick to write off the new 2015 Jeep Renegade as a soft-roader because looks can be deceiving. 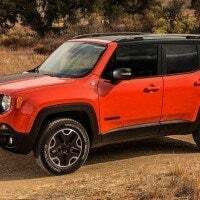 Over the weekend, I had the opportunity to drive the new Renegade in the Trail Hawk 4×4 trim and though it was sitting in the dealer’s parking lot, I swear it looked ready to go and do some serious off roading. The 2015 Jeep Renegade is the first Jeep to share its platform with an Alfa Romeo. 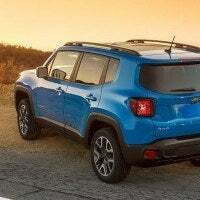 The Renegade also replaces the aging and less successful Jeep Compass and Patriot, which were based off the old Dodge Avenger sedan. The Jeep Renegade is an all-new vehicle in Jeep’s North American portfolio. It is designed to attract city dwellers who have the itch to go and do some off roading once in a while. To cope with the bustling city life, the 2015 Jeep Renegade comes standard with a host of active and passive safety features to protect its occupants. Some of the standard features are: Electronic Stability Control (ESC), Roll Stability Control (RSC), side impact beams, dual stage front airbags with driver knee airbag, dual stage front and rear side curtain airbag, driver and passenger seat mounted front side airbags, TPMS, rear child safety locks and back up camera. The power-train in the 2015 Jeep Renegade Trail Hawk 4×4 is a new 2.4 L Tigershark series 4-cylinder engine, which is mated to a class exclusive, 9-speed automatic transmission. 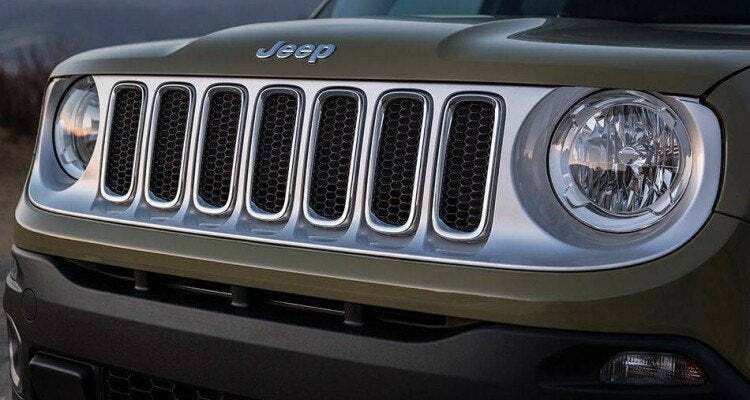 All of the power from the engine is routed to all four wheels via Jeep’s permanent all-wheel-drive system. 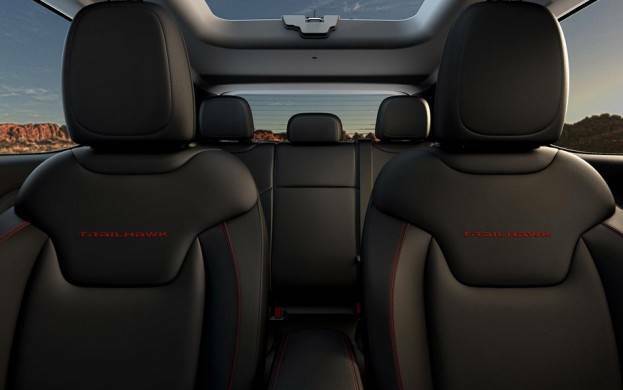 The 2015 Jeep Renegade features all of the latest technologies and creature comforts one comes to expect in any new Chrysler product. The good news is that the Trail Hawk I drove over the weekend was loaded with all of the available and optional features, so I got to test all of them. For a small crossover, there are a lot of available options for both the interior and the exterior. 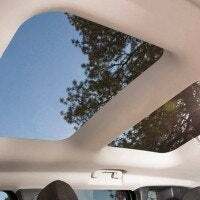 For the exterior, you can deck out your 2015 Jeep Renegade Trail Hawk 4×4 with a center-mounted hood decal ($150), My Sky fixed/removable roof panels ($1,095) or My Sky power retractable/removable roof panels ($1,395). Inside, the 2015 Jeep Renegade Trail Hawk 4×4 comes standard with a 5 inch Uconnect touchscreen with AM/FM and Bluetooth. But for $1,245 more, you can upgrade to the 6.5 inch Uconnect touch with AM/FM/Bluetooth and Navigation. Additional interior options include: Tonneau Cover ($175), Remote Start System ($200), Keyless Go ($295) and 9 Amplified Speakers with Subwoofer ($495). Trailer Tow Package ($395) includes a 7 and 4 pin wiring harness and a class III receiver hitch. Cold Weather Package ($495) includes heated front seats and steering wheel and windshield wiper De-Icer. Safety & Security Package ($595) includes blind spot/cross path detection system with security alarm. Popular Equipment Package ($745) includes 40/20/40 rear seats with trunk pass-through, 9 amplified speakers with subwoofer, A/C auto temperature control with dual zone control, power 4-way driver lumbar adjustment, power 8-way driver seat and manual 4-way passenger seat. Premium Leather Package ($1,495) includes all of the items mentioned in the Popular Equipment Package, but on top of it, it also adds heated front seats, leather bucket seats, heated steering wheel and windshield wiper De-Icer. My Jeep Renegade Trail Hawk 4×4 came standard with a 2.4 L Tigershark series 4-cylinder engine, which produces 180 horsepower at 6400 RPM and 175 lb.ft. 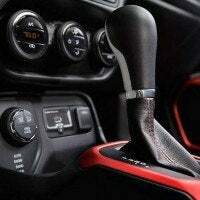 of torque at 3900 RPM. When combined with the standard 9-speed automatic and the all-wheel-drive system, the 3,575 pound Renegade Trail Hawk hits 60 mph from 0 in a respectable 8.8 seconds. Top speed is limited to 115 miles per hour. 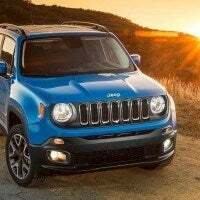 Even with a standard four-wheel-drive system, the EPA fuel efficiency ratings for the 2015 Jeep Renegade Trail Hawk are: 21 miles per gallon in city and 29 miles per gallon on the highway with a combined rating of 24. That is quite impressive for a small, rugged crossover. 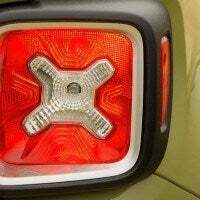 All 2015 Jeep Renegade models come standard with a 12.7 gallon fuel tank which is filled with regular unleaded gasoline. On a full tank of gas, the Jeep Renegade can go up to 266.70 miles in city and up to 368.30 miles on the highway. Driving the 2015 Jeep Renegade Trail Hawk 4×4 in the city is a piece of cake. Though the engine is not the most powerful unit in the company’s lineup, it is sufficient enough to pull this crossover around town easily. 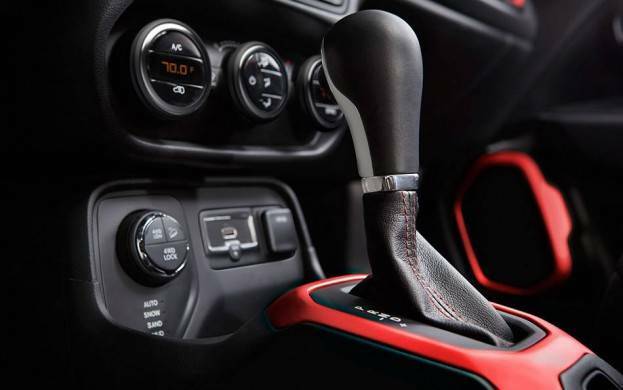 With the 9-speed automatic transmission, the engine’s rpms always hover between one thousand and fifteen hundred, which reduces the overall stress on the engine while returning very good fuel efficiency numbers. 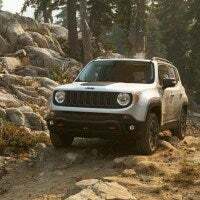 Unfortunately, I was unable to test the Renegade’s off-road capabilities because where I live, there aren’t a lot of dirt roads (and even if there were some dirt roads, the sales representative would not have let me dirty up a car which had just come out of the car wash before I got in it to drive). All 2015 Jeep Renegades come standard with strut suspension up front and multilink rear suspension out back with coil springs. The ride was really smooth over bumpy roads as the suspension set up did an admirable job of absorbing a majority of the bumps. All around, the Jeep Renegade comes standard with gas-pressured shock absorbers and front and rear anti-roll bars. The minimum ground clearance on all Jeep Renegade models is 8.7 inches, which is high enough to traverse over small rocks while you are doing some mild offroading. 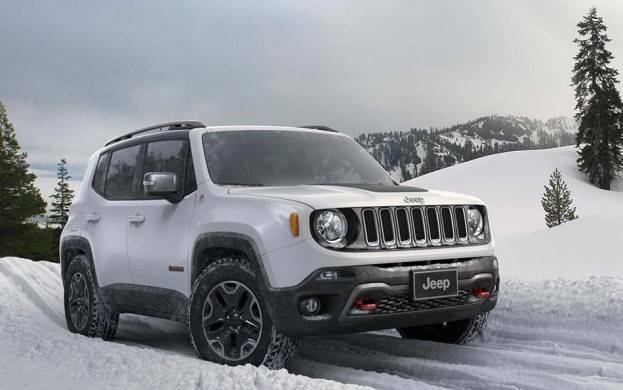 Also to cope with varying weather conditions, all Jeep Renegade models come standard with Jeep’s Selec-Terrain traction control system, featuring four driving modes: auto, snow, sand and mud. The Trail Hawk model features an additional Rock mode, which with the help of an electronic transfer case, aids you during the minor off-road excursions. The steering in the Jeep Renegade is an electric power-assist unit which provides decent feedback through the steering wheel. The turning radius of the Renegade from curb to curb is recorded at 35.3 ft according to the company, but I did not have the opportunity to validate this claim. Brakes on the 2015 Jeep Renegade Trail Hawk 4×4 are 14 inch vented discs up front and 13 inch solid disc out back. They provide sufficient strength to stop this crossover with little to no drama. 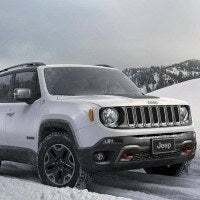 However, when you are not on the pavement, you can also use the Renegade’s standard hill descent control, hill hold and electronic parking brake to keep your vehicle safe and secure on those uneven and slippery surfaces. To protect the vital under body components, the Jeep Renegade Trail Hawk comes fitted with four skid plates as standard. The standard tires on the 2015 Jeep Renegade Trail Hawk 4×4 are 215/65 TR 17 and are wrapped around 17 inch alloy wheels. The spare wheel is also seventeen inches in diameter, but instead of an alloy unit, it is a steel unit. Overall, the new 2015 Jeep Renegade Trail Hawk 4×4 is a vast improvement over the old Jeep Compass and Patriot which it replaces. The interior is well laid out and almost has a little European vibe to it. Though the engine is a bit under powered, you will only feel it when you floor it really hard from a stop light or when you are climbing over a steep hill. But, on a flat surface, the engine, transmission and the four-wheel-drive system do a good job of keeping this Jeep stable and planted to the ground. I am not completely won over by the boxy exterior and all of the black plastic body cladding. But, I am sure there are some people out there who will not consider the Renegade a proper Jeep without all of the body cladding. 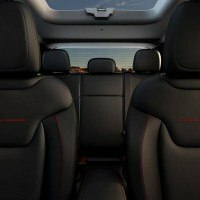 I am, however, impressed with the interior and the optional leather covered front bucket seats. 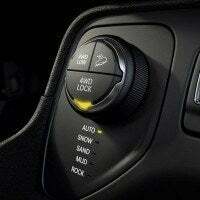 It provides enough grip to keep the driver and the front occupant secure while they are offroading. The rear seats were a little less supportive, but are sufficient for three medium sized people or two tall people for short to medium distances. In the end, if you live in the city or in an urban area and still want a Jeep branded vehicle with off roading capabilities, then the 2015 Jeep Renegade Trail Hawk 4×4 is the vehicle for you. 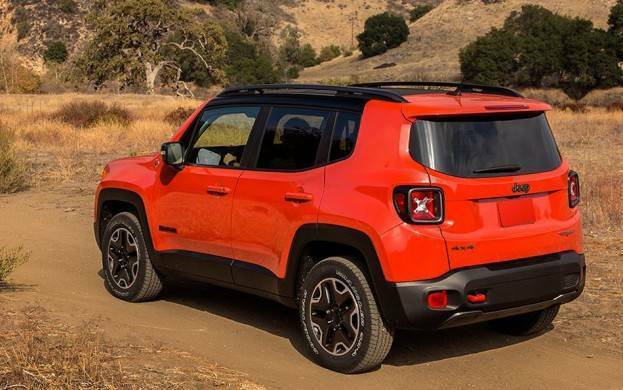 With a starting MSRP of $25,995, the Renegade is also a good crossover for your money. 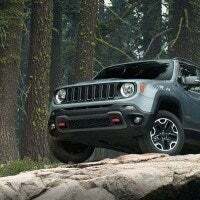 When you check the boxes for some of the options and available packages mentioned earlier, then the price will easily climb in to the low thirty thousand dollars mark – just be careful with the pen, mouse, or whatever other device you use while configuring your new Jeep Renegade, if you are trying to watch your budget. But, if you have a little extra spending money then by all means, have fun customizing! 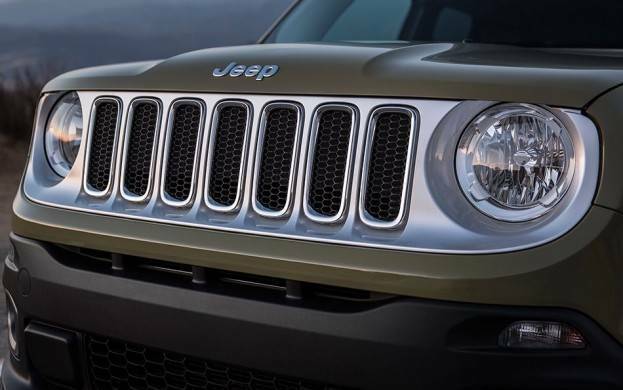 What do you think of the 2015 Jeep Renegade Trail Hawk? Tell us here! 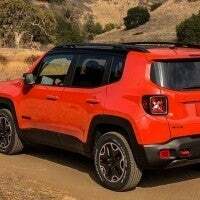 2 Comments on "2015 Jeep Renegade Trail Hawk 4×4 Review"
Thank you so much for the helpful review!